Did ATL just gift us their second round pick? If so, that was right hospitable of them. Wouldn't it be nice if teams made charitable donations like that on draft day? IIRC, I traded #9 to ATL for their 1st & 2nd, then traded that 1st to WAS for their 1st, 2nd, & 3rd. How many rookies going to make the team ? In a world where UDFAs make the team, why shouldn't all of our draft picks? i posted before on this and hate to sound redundant but, what if?.....we sent shaq to atlanta then got grady jarrett with a swap from 9 to 14? atlanta needs bodies on the dline, but grady is gonna eat up tag money. then we trade with carolina 14 to 16 for their 3rd. we get montez sweat who slides to that spot. (due to weight and where he played college ball). 2nd pick in the 2nd round...irv snith jr. pedigree..dabol...he's a bill. deep middle threat with reliable hands. 3rd rd. oshane ximines or zach allen. a solid pair of bookends ( with sweat)for years to come. 3rd rd. 2nd pick. mike mccoy center. good size, nasty disposition and probably an eric wood but better. cut bodine. if morse gets hurt or concussed we'll be screwed. that could happen in camp. we better have a plan for that. after all that and in no certain order i would take...andy isabella ( a slot for beasley to teach)....kahlil hodge lb ub...this year's matt milano steal and finally bryce love....we got the time for him to learn from shady and gore to become our next thurman thomas. i think after the draft, if they want to worry about oline some more, i believe these guys will find post june 1st cuts and ufdas that will be fine. like i've said before, the plan is for next year to be the year to get those 2/3 superstars to put us over the top. New one that I did. Love how this draft would look. Traded back a few times for extra picks and then traded back into the 1st for Metcalf. Had to give up a 1st rounder next year but only had to give up that and a 7th rounder. Felt like that was a steal so I pulled the trigger. I could have had my choice at any RB here and normally I’d go with Sanders or Henderson but I went a different route on this one. To get Ferguson and Baker into the 2nd was huge and will be instant game changers. I missed out on Irv Smith ur picked multiple TEs that have some upside. I moved back a bunch in the first round in this one. Still managed to get a steal with picking up 4 extra 2nd round picks and still getting Hockenson late. Tried to trade back into the first to get Wilkins or Oliver. The Packers took Wilkins at 30. Ed Oliver went at 28. If Harry was there at 8 in the 2nd I would have taken him there but figured I’d end up with Butler or Harmon later in the first and that’s what happened. Simmons was just about the only early round DT left on the board there. I screwed up and took Oruwariye at 13 in the 2nd then saw that Baker was still there. I didn’t want to go with 2 DBs but couldn’t pass Baker up in the mid 2nd round. With RB I first thought about Sanders, but the speed of Henderson was too much to pass up, but decided to go with Sanders as well. He was the best player on the board there. 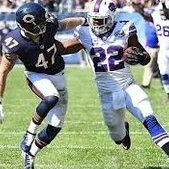 Then come the 4th round and Holyfield was still around I thought... screw it, we can try and trade Shady for some kind of pick next year. Some RB in camp somewhere is bound to get hurt and would pay a premium for someone like Shady. And we get the 3 RBs that lead this teams backfield for years to come. Huggins and Bryant round out the DL for depth with potential. And we have our long term backup QB with Jackson. First pick is fun but in reality you’d never end up with 15/16 picks in any one draft. You’d simply be wasting picks. After 10/12 you’d be trading to get picks in future drafts but on this platform you can only acquire the teams firsts. Plus you score better with more picks but it’s just not realistic. You are contradicting yourself when talking about the score. Which btw I don’t think means anything here, I’ve had some incredible mocks but the score is really low because of what you said, more picks generally means better scores. Your saying I’d be wasting pics with that many picks. It depends on the position of those picks. I traded back multiple times for 2nd rounders which if in real life, I would gladly move down a few spots to get 2nd or 3rd rounders. So 15/16 picks might be a waste in general. But if 11-12 of those pics are in the first 4 rounds it’s not a waste at all. I still managed to get some really good talent and some really good potential. Any picks after round 4 are possible throw aways. Maybe you find a guy with some crazy work ethic or something. Or maybe you can manage to bundle up a bunch of late rounders for mid rounders and add a few more 4th rounders to your board. Either way, it’s definitely possible. New One this morning. The Packers traded their 12th and 30th overall to move to 9. Then the Raiders moved up to 12 with their 24th, 27th, and a 4th. It was a no brainer and I wouldn’t have had it any other way if possible. I personally wouldn’t have taken Greedy there. Baker was also available and I had my pick of any of the WRs besides Metcalf in that spot. My phone froze and when I refreshed it auto picked Greedy for me. Must have been the best player available at a needed position. I could have had AJ Brown, Harry, Butler, etc. I wish that would have happened. Because then I felt forced to pick Irv Smith with the next pick to get the best receiving talent for my young QB, assuming I could still get Butler, Hall, Harmon at WR. By the time I got to the next pick they were all gone. So I took a OT with everybody RB still on the board. With the extra picks I still managed to get Sanders and Henderson at RB so I’m pretty pleased. If this were to happen I don’t think I could be happier. Even with the Greedy Williams screw up I am pleased with the whole thing.